The second model of signature flights of Jeff SMITH. 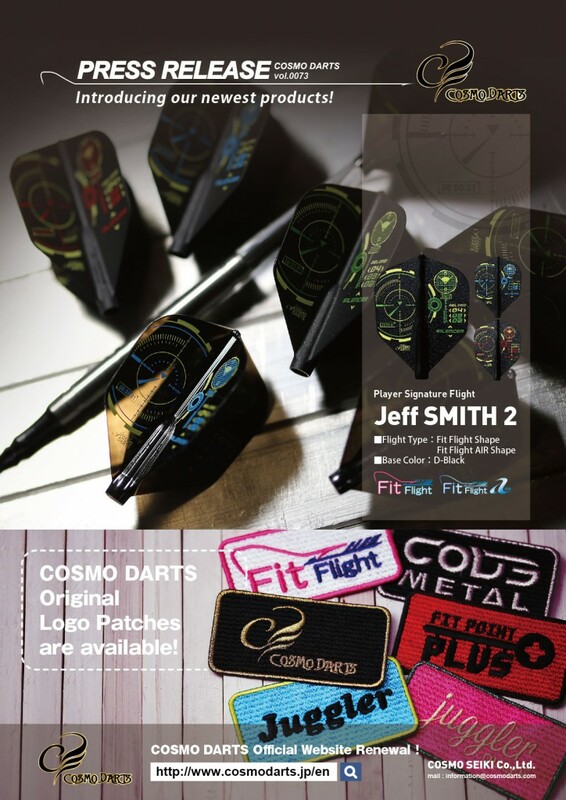 Cosmo Darts, Fit Flight, Fit Point PLUS, Code Metal, Juggler, and Juggler Queen logo patches are now available! 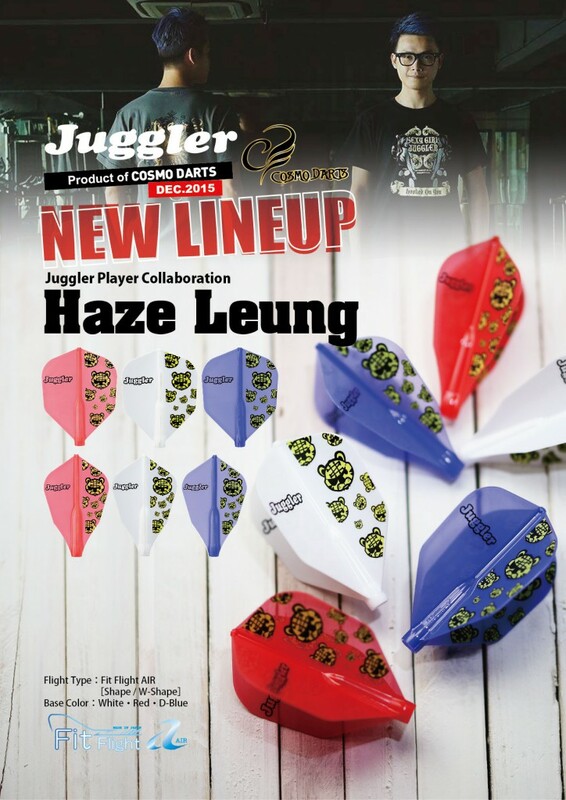 Haze Leung collaboration flights in Juggler version. The above products are available for sale from December 18th, 2015.